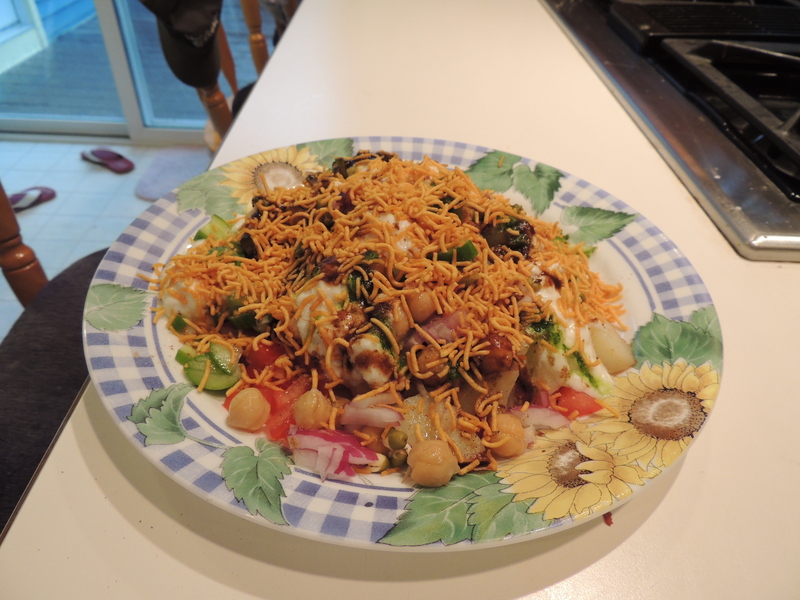 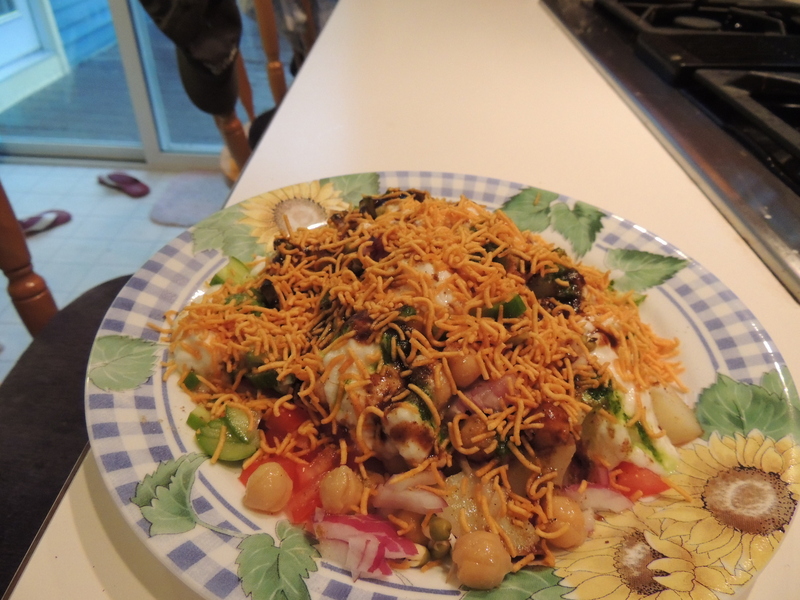 Chaat is a delicious, fresh mix of raw vegetables, garbanzo beans, and yogurt, typically sold on street sides in India. 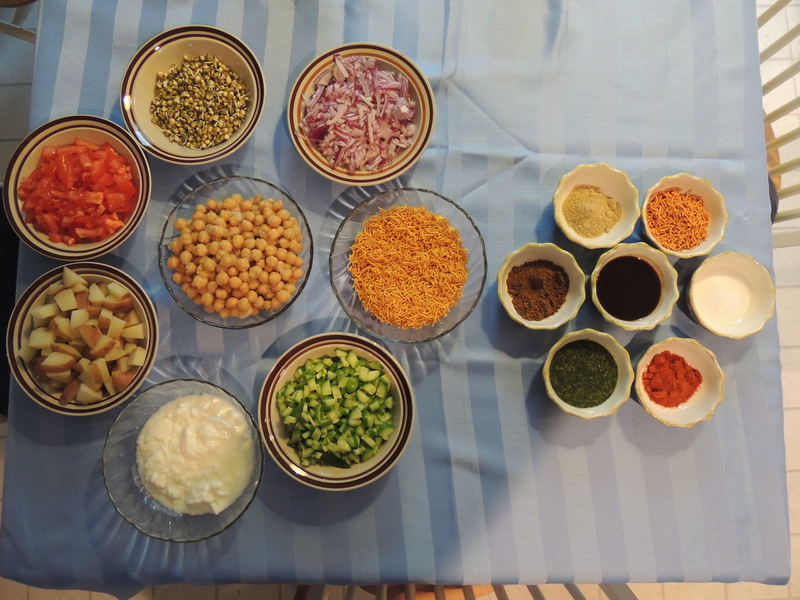 Flavor is added with different chutneys and powders, and chaat altogether makes for a tasty, healthy, and refreshing meal. 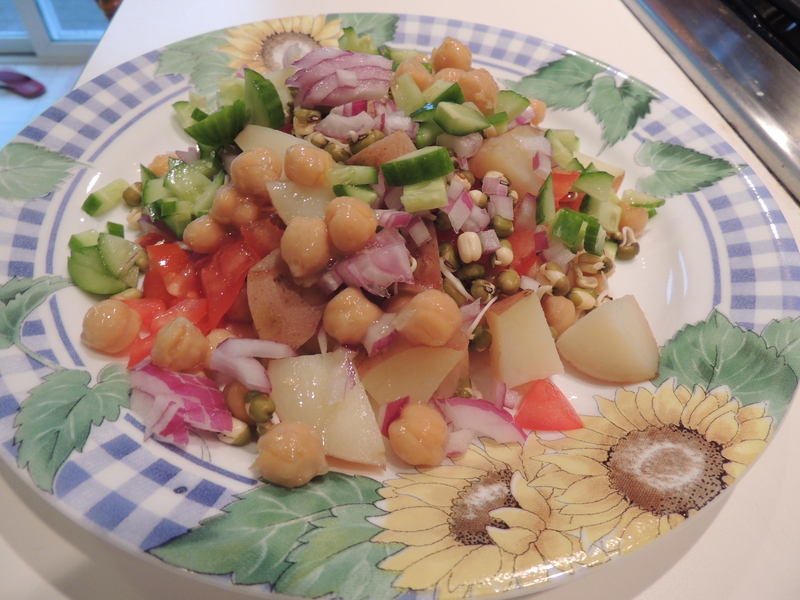 First put garbanzo beans on the plate, then add cucumber, potato, tomato, peppers, and then onions on your plate in a pile.